If you are thinking of checking out the state of Western Australia, visit its capital, Perth. Situated 6 kilometres east of the middle of the city, visitors will find the exciting neighbourhood of Rivervale. The not-to-be-missed experiences of Perth include the Kings Park and Botanic Garden and Swan Bells Belltower. Make sure you don't spend all your savings at Belmont Forum Shopping Centre. Check out the rates at the Assured Ascot Quays Apartment and Country Comfort Inter City Hotel Perth to stay close by. Peninsula Farm is perfect if you're a bit of a history nerd. Don't forget to bring your camera and ask if there are any tours planned when you're there. 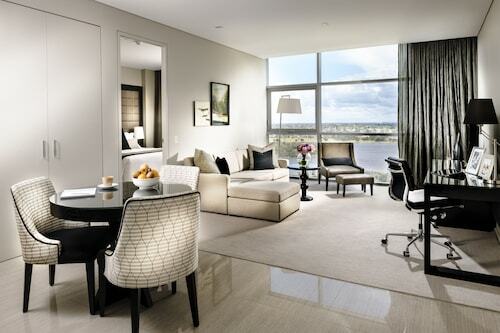 For this place, check out the Crown Metropol Perth and Crown Promenade Perth. Not a morning person? You'll find a mix of enticing cafes in Rivervale. An early coffee and cake at Dôme Café - Victoria Park is an ideal way to get yourself going. Once the caffeine fades and your belly starts hankering for something more substantial, take a look at the menu at 88 Noodle Bar. This popular eatery dishes up some seriously delicious food. 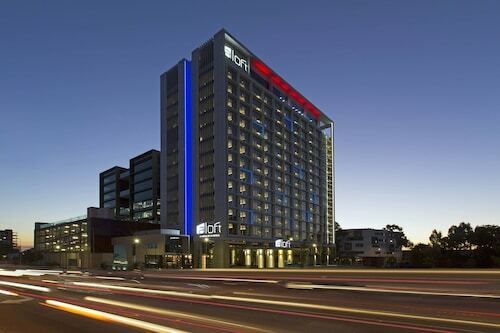 If you wouldn't mind a couple of beers before you call it a night, why not stop by Crown Metropol Perth? Who knows, the bartender might even have some tips on what you can see tomorrow! You may want to consider securing a hotel in Belmont or Victoria Park when researching your holiday in Rivervale. Belmont is 2 kilometres from Rivervale and Victoria Park is approximately 3 kilometres away from Rivervale. 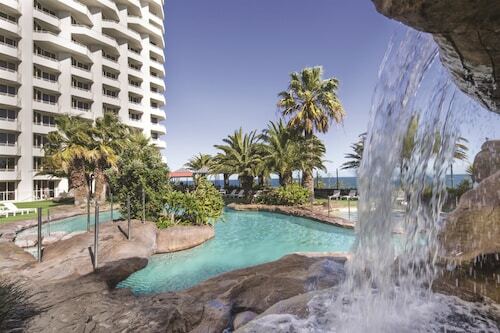 Wotif can sort you out with some awesome places to stay in Rivervale, so when you're ready to experience Perth, we're ready and waiting to take you there! How Much is a Hotel Room in Rivervale? Hotels in Rivervale start at AU$86 per night. Prices and availability subject to change. Additional terms may apply.